About - Nuytco Research Ltd.
A DeepWorker 2000 (foreground) and Dual DeepWorker (background) filming in Baja, Mexico. The Exosuit being pressure tested at Nuytco Research. 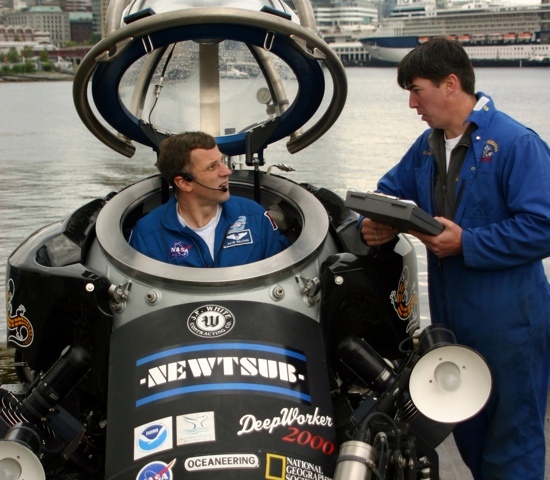 Astronaut David Williams being trained on DeepWorker operations. 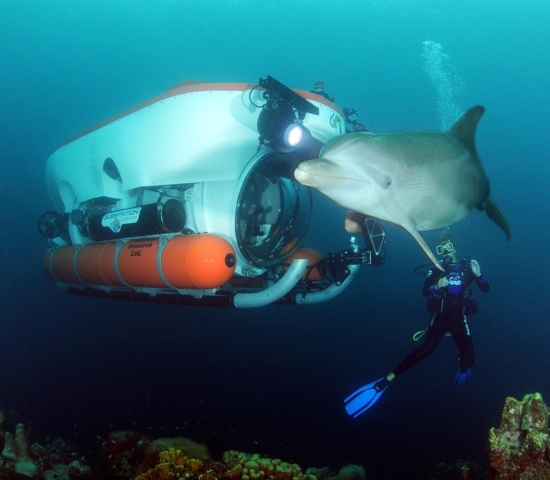 A dolphin swims past the 5-person Curasub. Three DeepWorkers ready for deployment at Nuytco Research. Two DeepWorkers engaged in science operations in Palau. Nuytco Research Ltd. is a world leader in the development and operation of undersea technology. Nuytco and its sister company, Can-Dive Construction Ltd., have over forty years of experience working around the world. 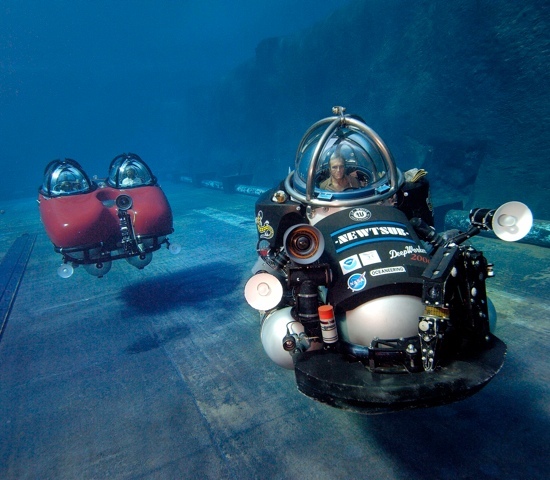 Nuytco designs, builds, and operates atmospheric diving suits, submersibles, remotely operated vehicles, lights, thrusters and other specialty equipment for underwater applications. 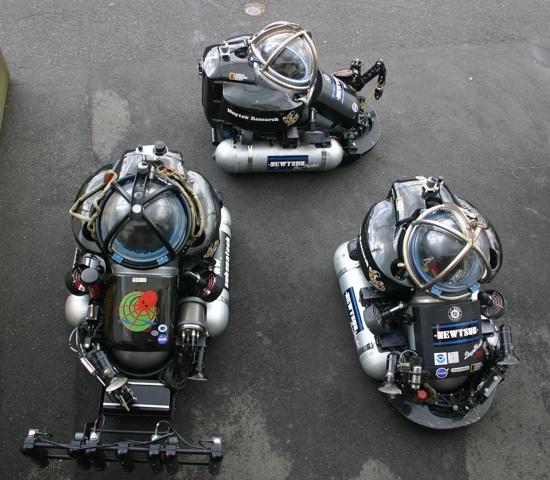 Nuytco is best known for the "DeepWorker" series of 2000ft depth-dated microsubmersibles, in both single pilot and pilot and passenger configurations. DeepWorkers have been used all over the world for scientific, survey, construction, oilfield, tourism, film and photographic work. Nuytco owns and operates a fleet of submersibles, ROV's, sonar systems and specialized tools for commercial and scientific applications. We offer training on the 'DeepWorker' series, or can supply a full crew with pilot(s) and support, as the client requires. 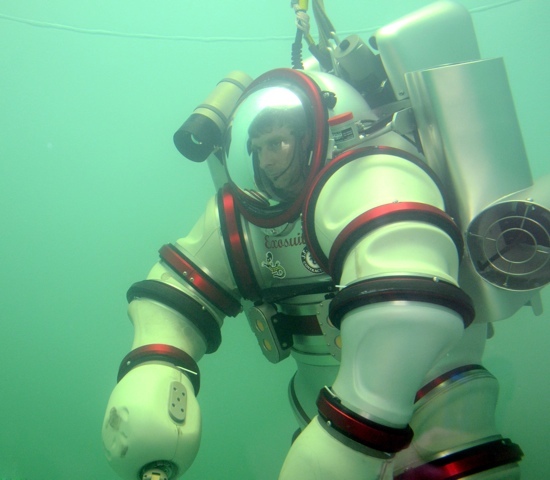 Nuytco's latest project has been the atmospheric diving system (ADS) 'Exosuit' - light weight, free-swimming one atmosphere suit, available in 1000' and 2000' configurations. 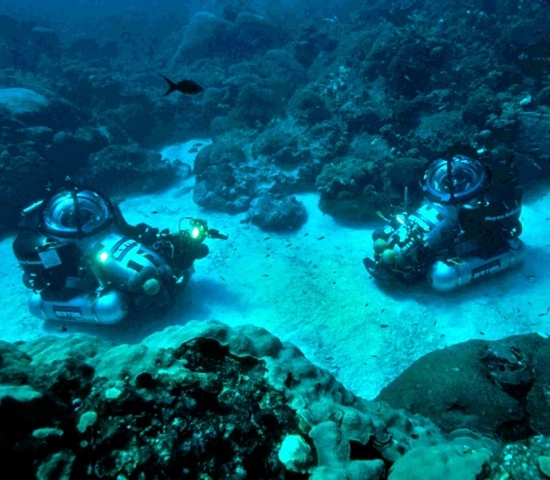 Whether for scientific research, commercial diving or for the movies, Nuytco offers state of the art diving technology and services with a reputation solidly built on underwater innovation and satisfied customers. Nuytco Research Ltd. is a certified government vendor on SAM. Contact us for details.